Before Parameswara set foot in Malacca, it was only a simple fishing village. With his arrival, he converted it into a busy port, snaring the attention of others, namely the Portuguese, Dutch and British. Each of the empires left behind their own stamp, resulting in a distinctive heritage and culture unlike any other. Today, Malacca is a popular tourist spot, and with a UNESCO World Heritage title, it continues to draw in tourists in droves. 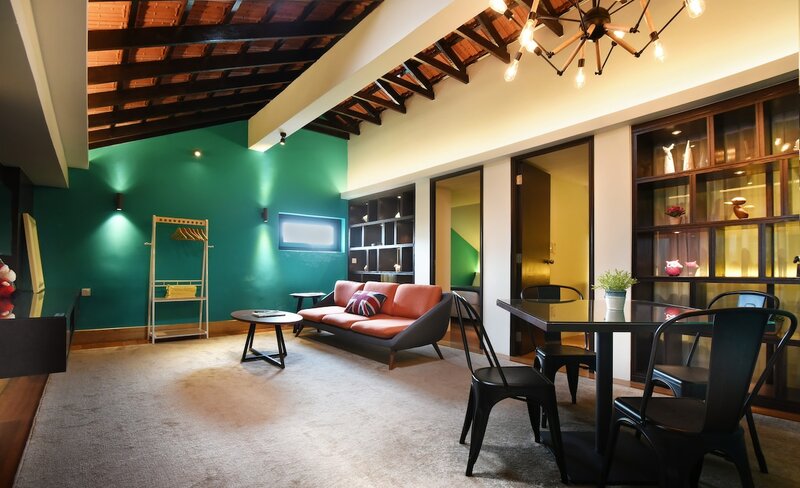 If you’re planning a trip to Malacca, here are some one-of-a-kind accommodations to contribute to your unique Malacca experience. Located above a ground floor café named Alley No. 5, Joti’s Oasis lets you have the whole top floor to yourself, complete with an attached bathroom. Traditional in style with a big balcony for you to enjoy the view of Malacca’s old street, it is truly an oasis in the heart of Malacca. Based on comments and reviews, Joti the host is extremely friendly and helpful too, making it a very pleasant stay. 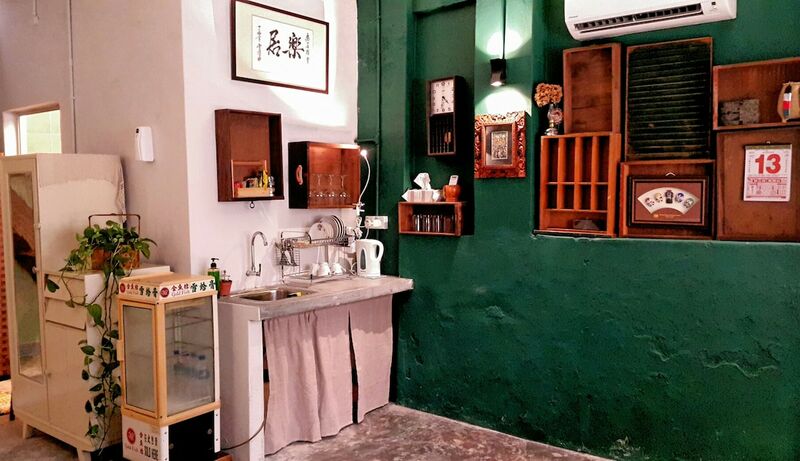 Address: Jalan Kampung Kuli, Malacca. Located within a golf resort, Backrow’s distinctive feature is its ample outdoor space, including a private swimming pool. There are lounge chairs by the pool, as well as sofas, armchairs and a dining table under a covered area. Backrow is also near a water park, mall, and an animal safari, making it a perfect location for those who love different activities. Address: Jalan Kemus, Simpang Empat, 78000 Alor Gajah, Malacca. Backyard Rio features quirky architecture and interior design, with interesting designs and splashes of bold colours throughout the whole space. Located beside the riverside of Sungai Melaka, it has modern light decorations, a canopy bed, decorative shelves, and plenty of space indoors. If you appreciate different interior designs, this is the place for you. Address: Lorong Bukit Piatu 19, Kampung Jawa, 75100 Malacca. Unable to go to Greece at the moment? No problem, enjoy both Malacca and Santorini at the same time! 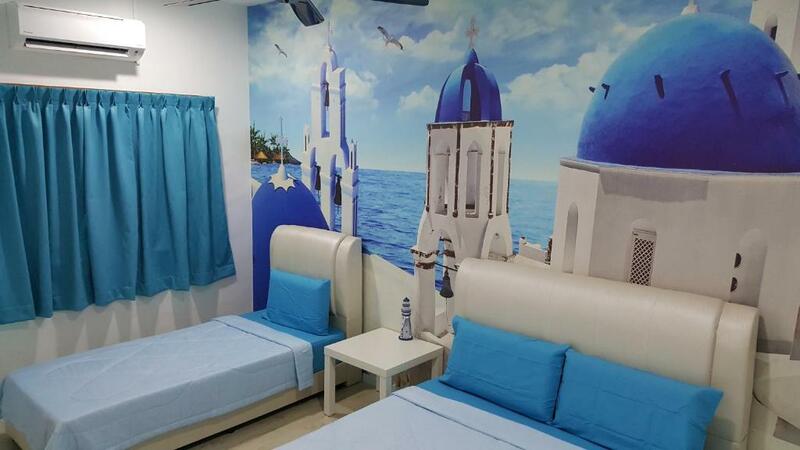 A single-storey house, Santorini @ Kota Laksamana is decked out with only blue and white colours throughout the house. Furthermore, backdrops of Santorini views adorn the interior walls, making it seem like you are indeed transported to Santorini. Address: 17, Jalan Taman Kota Laksamana 5, Taman Kota Laksamana, 75200 Malacca. Leju is located within the UNESCO World Heritage Site that directly faces the Malacca River. An old corner house, it has been carefully renovated to fit modern living requirements while preserving its originality as much as possible. Here, you will find old wooden windows, original walls with peeling or faded paint, untiled cement floors, and a mixture of original and reclaimed wood. Address: 21, Lorong Jambatan, Jalan Kampung Pantai, Kampung Pantai, Kampung Tengkera Pantai Dua, 75100 Malacca. 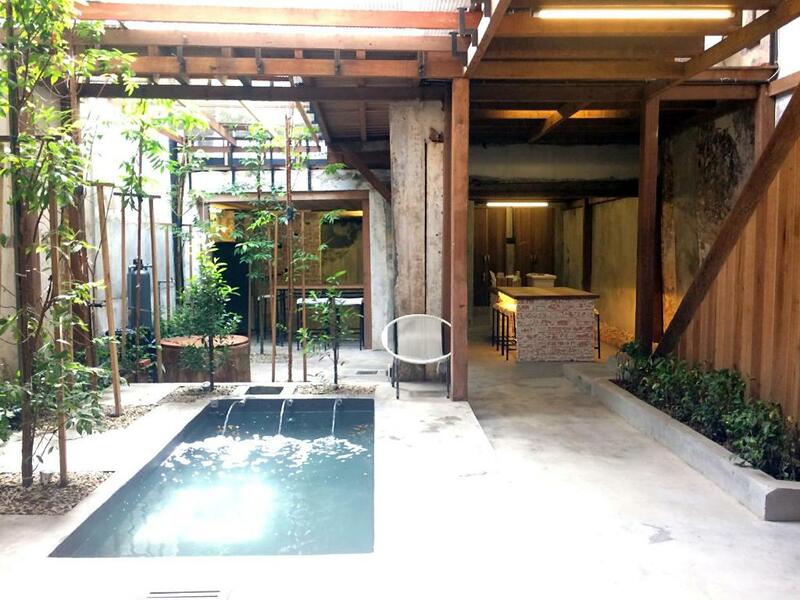 Similar to Leju, Rimba Hang Kasturi is also located within the UNESCO World Heritage Site, and converted from an old shophouse. Rimba Hang Kasturi offers a private dipping pool, an open concept dining area and kitchenette, outdoor and indoor courtyards, and a few bedrooms. The space is a mixture of traditional and modern with plenty of light coming in, making it feel like a mini-retreat from the city. Address: 70, Jalan Hang Kasturi, 75200 Malacca. Another place located within the UNESCO World Heritage Site, Eleven Villa features a swimming pool and jacuzzi inside the villa itself, as well as a hanging garden. 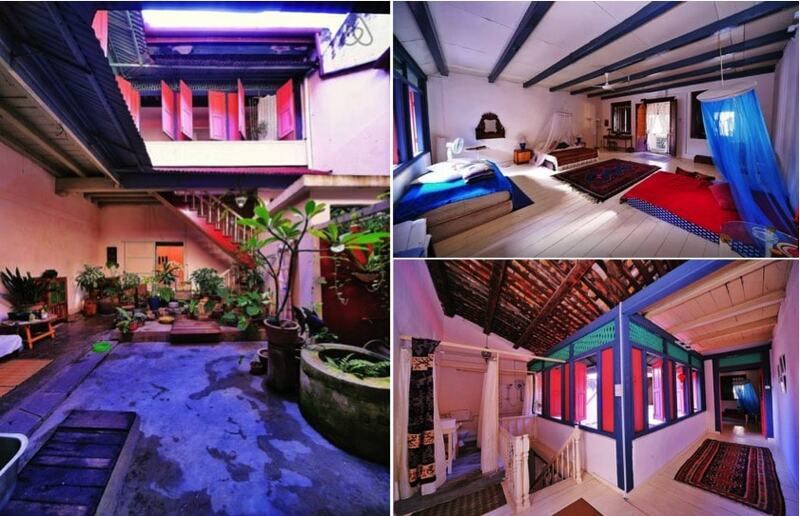 Originally a Baba Nyonya house, it is now a perfect combination of modern luxury and old-school Baba Nyonya features. It is also bright and spacious enough to stay indoors all day without feeling the need to get out. Address: 11 Jalan Tokong, 75200 Malacca. 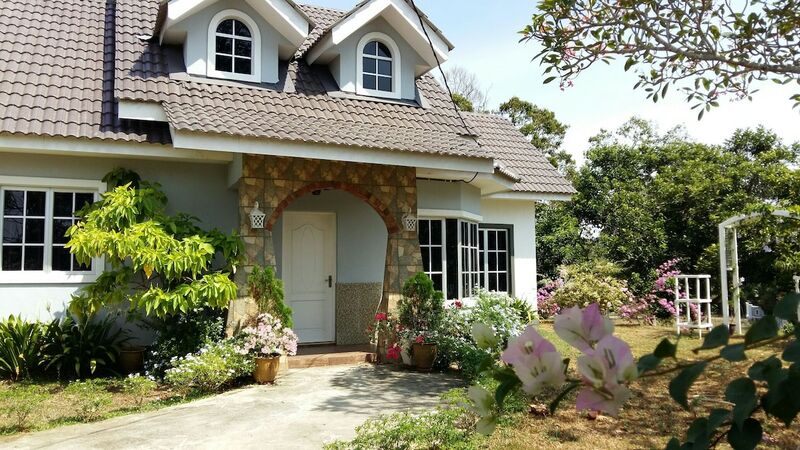 A small bungalow located in a Malay village, English Cottage is simplicity at its best. It may not boast many amenities, but what it has is an authentic Malaysian village experience. Trees and plants surround the exterior of the house, completing the whole country vibe. Cute and quaint, it is perfect for your inner country soul. Address: Batu 7 3/4, Kampong Gangsa, Durian Tunggal, 76100 Malacca.